Asthma is a disease that involves the chronic inflammation of the lungs. It is among the most common chronic conditions diagnosed in infants and children. If you suspect your child mayvhave asthma, schedule an appointment with an asthma specialist right away. An asthma doctor can conduct a thorough examination and provide treatment guidelines for managing the disease. Certain risk factors may increase the likelihood of childhood asthma. Your child may be more likely to develop asthma if he or she has allergies, frequent respiratory infections, dermitits or eczema, or exposure to secondhand smoke—before or after birth. Other risk factors of childhood asthma include having a low birth weight and having a family history of either allergies or asthma. When you bring your child to the allergist for an examination, he or she will ask you about the symptoms you’ve noticed. Childhood asthma can cause infants and children to have rapid breathing, labored breathing, and wheezing while breathing. They may frequently cough, complain of fatigue or weakness, and appear lethargic. Asthma can also lead to chest discomfort. 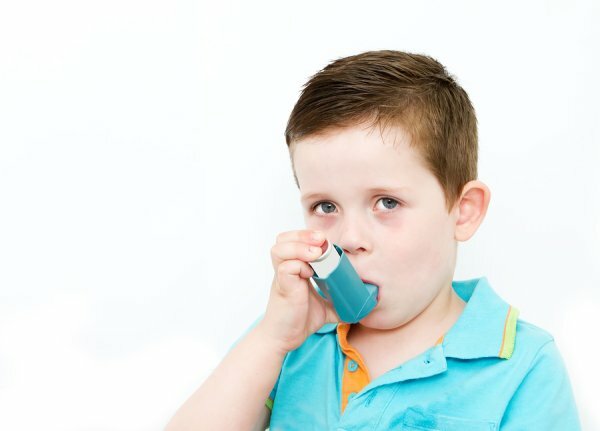 Children may have asthma attacks, which are periods during which the symptoms can become quite severe and breathing is particularly difficult. Before the allergy specialist can diagnose your child with asthma, he or she will carefully review your child’s medical history, conduct a physical examination, and evaluate the child’s everyday living environment. The allergist will also conduct a panel of skin tests to check for allergies and lung function testing to measure the capacity of the lungs. There is no cure for asthma. However, it can be managed. The asthma doctor can discuss how your child can avoid asthma triggers. He or she can prescribe medications to control the symptoms and demonstrate the use of quick relief inhalers to be used in the event of an asthma attack. Allergy immunotherapy may also be helpful for managing childhood asthma. Fellowship trained, board certified allergists/immunologists comprise the entire physician staff of Allergy & Asthma Specialists. Allergy doctors at this premier medical practice provide comprehensive allergy and asthma diagnostics and state of the art treatment, including three types of immunotherapy, at offices located in center city Philadelphia, Blue Bell, King of Prussia, Jenkintown, Doylestown, Lansdale, Pottstown, and Collegeville, Pennsylvania. Schedule today online at www.AllergyandAsthmaWellness.com or by calling 1-800-86COUGH, extension two.